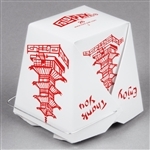 Chinese folded take out food pails for the restaurant and take-out industry. 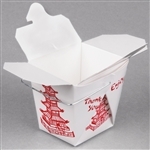 We are the leading chinese restaurant supplier in the United States for chinese food pails for takeout. 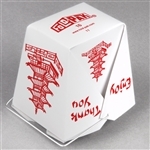 The traditional Chinese Pagoda design is the most popular still. 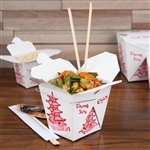 We are a top quality chinese restaurant supplier based on our paperboard folded food pails and carryout containers. Roundeyesupply has been supplying chinese to go containers for over 20 years.